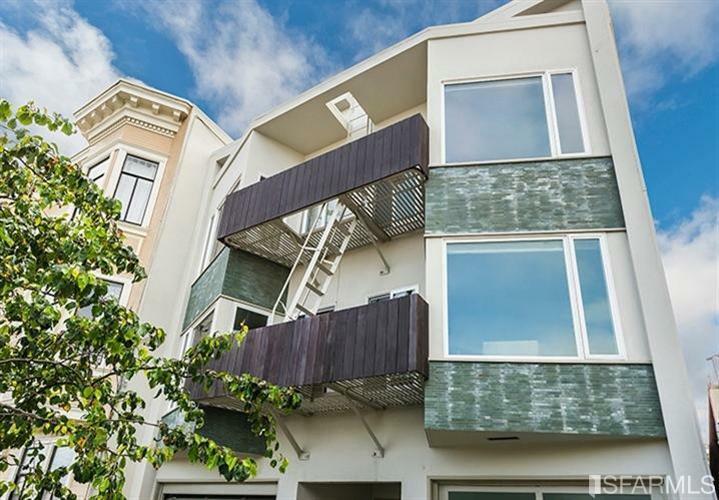 Quintessential San Francisco location with a View of Alcatraz from your Living Room. 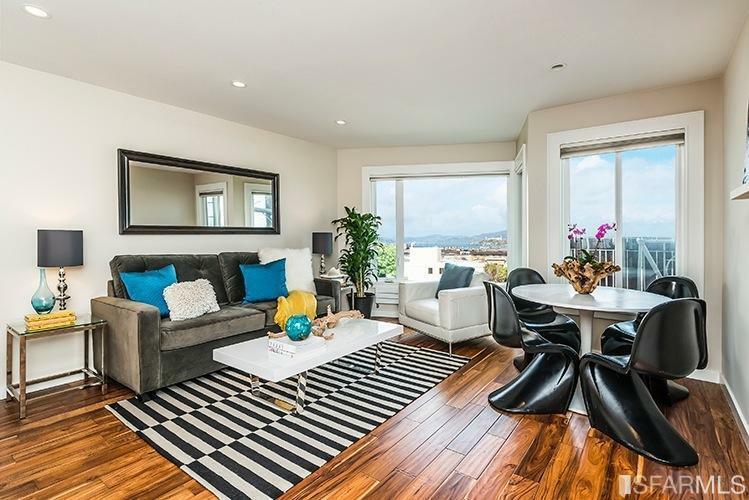 Fabulously remodeled Russian Hill 1BR/1BA. Has an open floor plan that has natural light. Stainless Steel Kitchen with custom cherry cabinets, glass tile backsplash. Have your guests enjoy a cocktail watching you make your gourmet dinner on the Caesarstone counter top. Bright contemporary bathroom with a skylight directly above with ceramic & glass tile & high-end modern fixtures. Stacked Washer Dryer located in unit!. Video-Intercom system. Large 1-car deeded parking and large storage. Over 1000 sq ft roof deck with magnificent views of the City By the Bay. Blocks to North Beach & Russian Hill and within blocks to shops & restaurants.